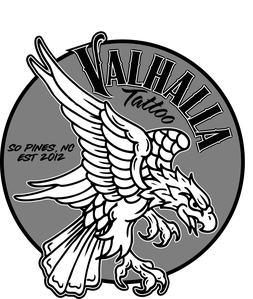 Contact - Valhalla Tattoo and Gallery "Southern Pines Premier Tattoo Location"
Send us a message using the contact form below. We look forward to getting your questions, comments, and feedback! Before sending an inquiry please read our etiquette page. Most if not all questions you might have can be answered on that page. If you are wanting to schedule a consultation please CALL the shop at 910-246-1559. Note: The contact form does not allow attachments. For messages with attachments use the email address above.